Ottawa: Canada’s opposition leader on Sunday revealed Prime Minister Justin Trudeau had threatened him with a defamation case over his comments about a political scandal that has rocked the government months before the country’s election. Andrew Scheer, head of the Conservative Party, told a press conference he had received a letter from Trudeau’s lawyer accusing him of “highly defamatory” comments made in response to a series of documents released by former attorney general Jody Wilson-Raybould at the end of March. 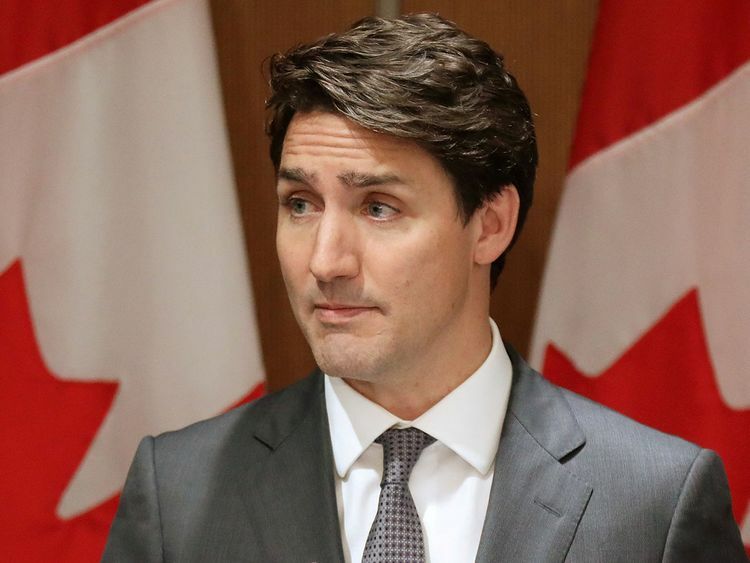 Trudeau has been under fire since February when Wilson-Raybould accused him and his inner circle of applying political pressure to prevent a trial of engineering giant SNC-Lavalin, which is accused of corruption in Libya. On March 29, the ex-attorney general released 43 pages of new documents that sought to link her January demotion to another portfolio to her resistance to allegedly undue pressure to settle the SNC-Lavalin case. Scheer in turn accused the government of lying to Canadians and of corruption. He denounced the lawsuit threat as “an intimidation tactic” by the prime minister. “It is a further attempt to silence those who are standing up and seeking the truth,” he said. “If Mr. Trudeau believes he has a case against me, I urge him to follow through on his threat immediately. Canadians want this scandal to be investigated in a legal setting where Liberals do not control the proceedings,” he added. “Andrew Scheer’s press conference today is yet another attempt at talking about anything other than his own damaging plans for the economy,” he said. The right-wing opposition, which is now polling ahead of the Liberals with a general election six months away, has been bombarding Trudeau since the affair broke. Scheer has called on the prime minister to resign immediately, saying he no longer has the moral authority to lead, and has demanded a public inquiry into allegations of political interference. Trudeau, hoping to turn a page on the scandal, last week ousted from his Liberal Party both Wilson-Raybould and former budget minister Jane Philpott, who had quit in protest over the prime minister’s handling of the controversy.